Liverpool have told Barcelona to pay £145million if they want to land Philippe Coutinho. The fee would be the biggest for a player who does not have a release clause in his contract. 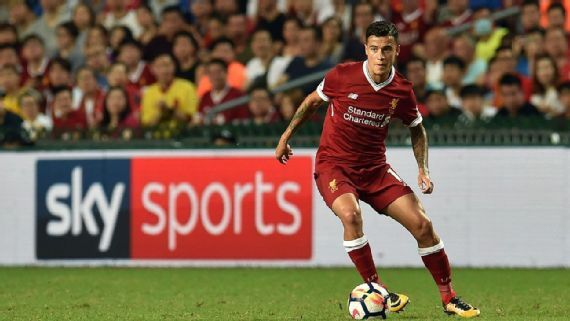 Jurgen Klopp’s squad flew out to Dubai on Friday night for a training camp without Coutinho, as negotiations over his move to Camp Nou continues. The transfer would secure a staggering profit for the Anfield club, who bought Coutinho from Inter Milan for £8.5m in 2013. Last summer, Barca went as high as £114m, but Liverpool refused to part with the Brazilian playmaker. However, their stance has now softened, with Klopp refusing to rule out Coutinho’s departure when asked about the situation this week.